This work is a part of the project "We are alive". 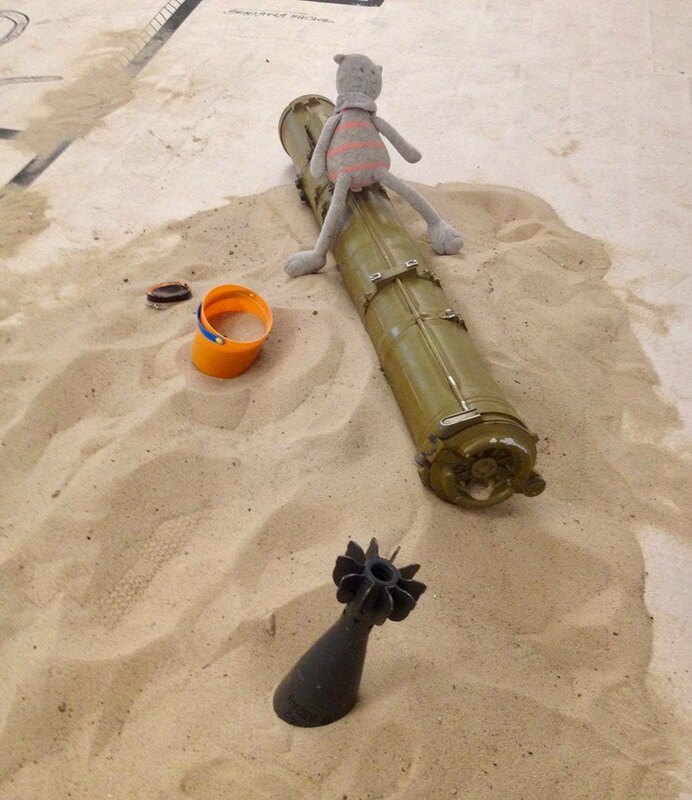 It is comment (adults living in peaceful territory) to photos made by children living in the front-line zone of Ukraine. 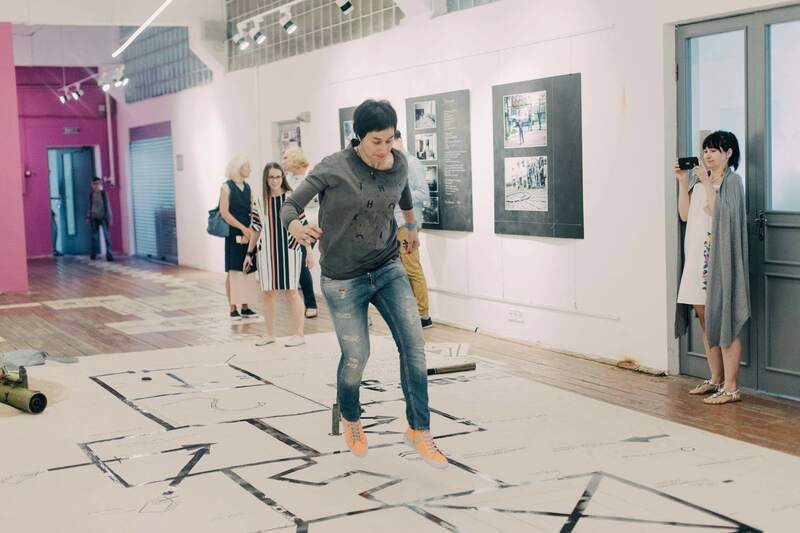 The installation is based on the game "hopscotsh", which is known to everyone from childhood. This game implies passing of the barriers, and the rules of the game create additional difficulties. 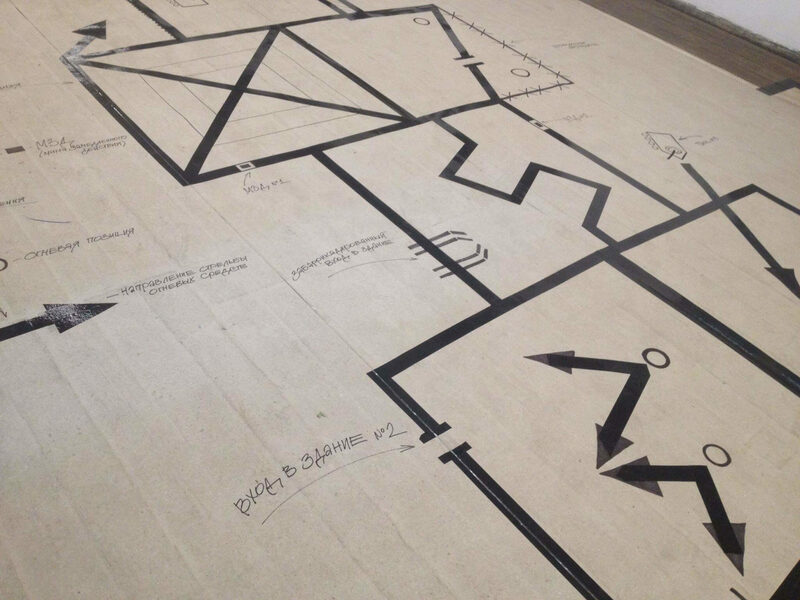 Each time rules become more and more complicated to make it through the game. Children remain children in all conditions. They are perhaps the only and the most important bridge between peaceful and front-line territories. Whatever "rules of the game" are set for them, they continue to play, live and dream. The viewer will look at the game from a child's perspective, but from an unusual angle for an inhabitant of the peaceful territory. 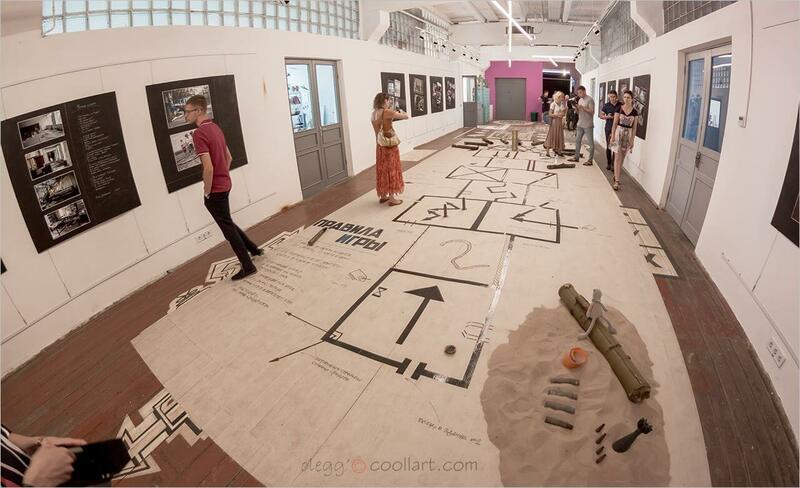 In my installation I offered adults to play a children's game according to adults’ military rules. 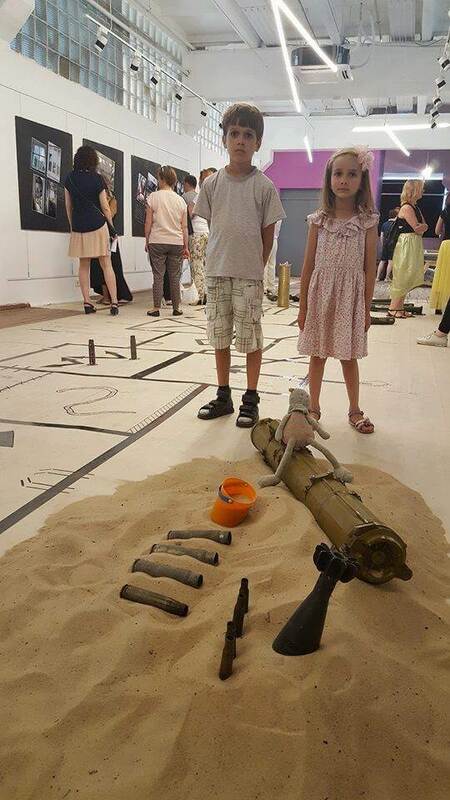 Allowing the viewer to experience the feelings and fears of children who now live in the front-line zone of Donbass in Ukraine. 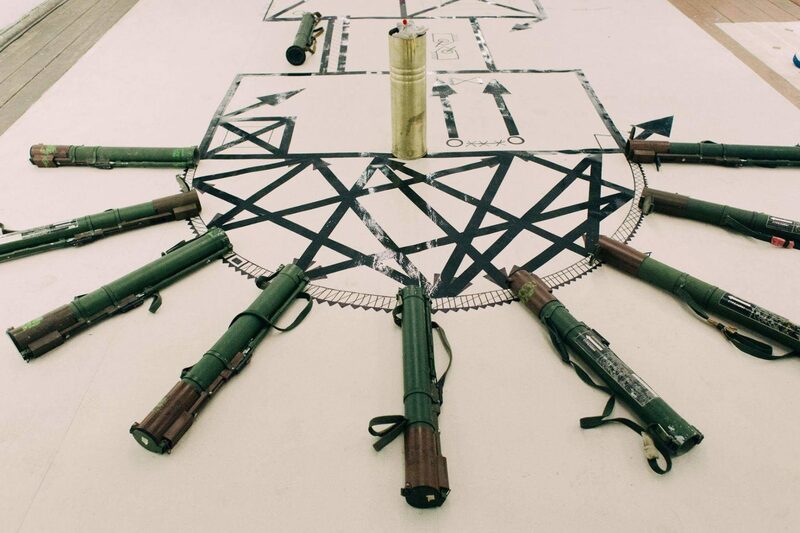 I specially increased the size of the game and complicated it with conventional signs from real military training booklets. 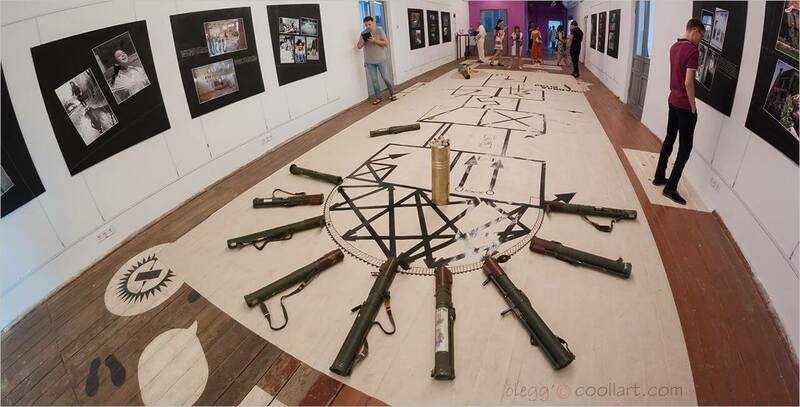 Important part of the installation were weapons cases, which were used in military operations in Donbas.